InterAgency Brown-Bag Lecture to focus on leadership | Command and General Staff College Foundation, Inc. The tenth and final presentation for academic year 2018 of the InterAgency Brown-Bag Lecture Series, co-hosted by the U.S. Army Command and General Staff School and the Simons Center for Interagency Cooperation, will be conducted at 12:30 p.m. on June 6 in the Arnold Conference Room of the Lewis and Clark Center on Fort Leavenworth. 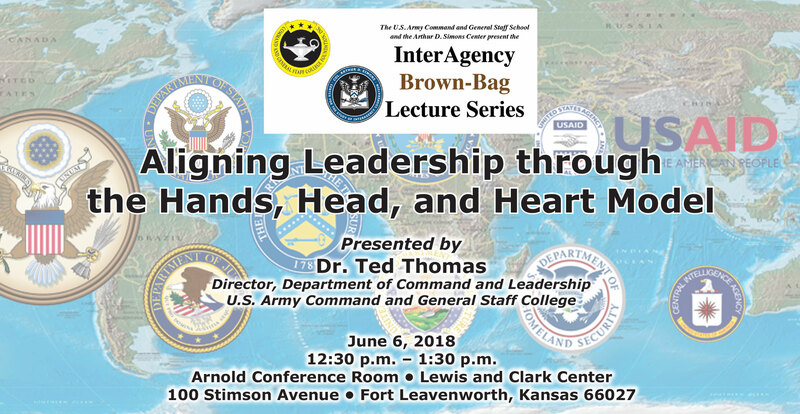 In this brown-bag lecture, Dr. Ted Thomas, the director of CGSC’s Department of Command and Leadership, will discuss how leading in an interagency-dominated contemporary environment requires a more nuanced approach. In his presentation Dr. Thomas will explain how we might traverse various leadership obstacles by aligning our approach with the situation at hand (…head or heart). Dr. Ted Thomas is the director of the Department of Command and Leadership in the Command and General Staff College at Fort Leavenworth, Kansas. Dr. Thomas graduated from the United States Military Academy in 1978 and served 20 years in various command and staff positions before retiring as a lieutenant colonel with his last assignment as battalion commander of the 554th Engineer Battalion. He received a master’s in Civil Engineering (1986) from the University of Illinois, and a doctorate in Engineering Management (1998) from Missouri University of Science and Technology. 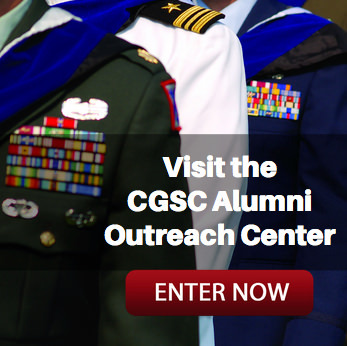 He joined the CGSC faculty in 2005 and has served as the director of the department since 2007. Members of the public coming to the lectures from off-post will need to add extra time to check-in at the Fort Leavenworth visitor center. – For gate information, see the Fort Leavenworth homepage – https://garrison.leavenworth.army.mil. The InterAgency Brown-Bag Lecture Series is co-hosted by the CGSC Foundation’s Simons Center with the U.S. Army Command and General Staff School (CGSS). The series is an extracurricular, interagency topic-focused series that is intended to help enrich the CGSS curriculum. The presentations are scheduled each month. 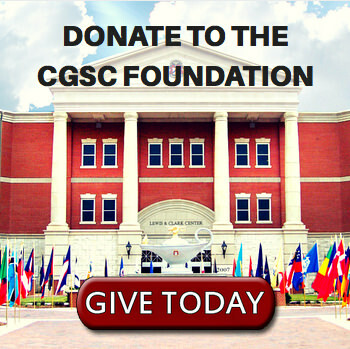 – The CGSC Foundation and the Simons Center have received support for all brown-bag lectures in academic year 2018 from First Command Financial Services in Leavenworth, Kansas.